Back in January, I decided that this summer would finally be the year I decorate my bedroom. It has been red and cream for a good few years now and quite frankly it's really beginning to peeve me off! I know that I am supposed to be saving to buy my own house, but that dream is still a couple of years away and if I have to look at those red walls any longer, I think I am going to scream, ahaha! If you're anything like me when it comes to home design, then you'll be all too familiar with the constant uhmming and ahhing, along with the four billion paper cuts you acquire from taking wallpaper samples and flicking through magazines. That's why this time around I am heading down to Grand Designs Live* for all my inspiration, and I am working in partnership with CLC World to give you the opportunity to win tickets to the event too! This year Grand Designs Live is running from April 29th - May 7th at the Excel Centre in London, and features six shows all under one roof. I have only ever been to the Excel Centre for MCM Comicon, so it'll be cool to see how it looks for a different type of event. I am most looking forward to seeing Amanda Neilson's Game of Thrones inspired room set and Caroline Oakey's room set inspired by Blackadder. 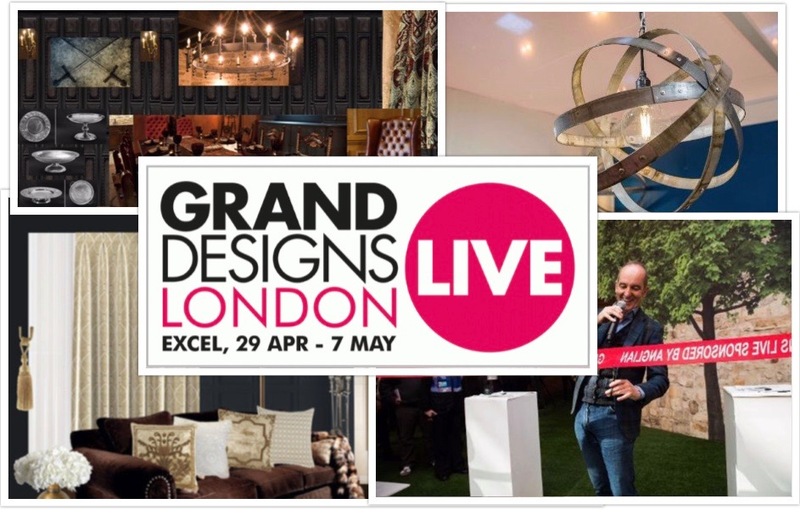 To be in with the chance to win a pair of tickets, all you have to do is leave a comment below with your Twitter handle and stating why you would like to attend Grand Designs Live. You have until midnight on April 24th to get your entries in, and the winner will be announced on twitter on April 25th. You can follow both myself, @IamKirstiekins, and @CLCWorld for updates on the competition, and keep your eyes peeled on the all-important date, April 25th, to find out if you're the lucky winner. So my Twitter handle is @DKGmiles and I would love to go to Grand Designs Live, as I am also re-decorating my bedroom (and house) this summer and I'm stuck on whether to keep my neutral colours or to try something different (Game of Thrones theme does sound amazing). I would love to get some ideas and see just how creative people can get with their homes. The Game of Thones room does sound amazing. Imagine having a giant dragon head attached to your wall? Haha!! I always seem to go for bright colours and clashing prints but now as I'm getting older, it would be great to get some inspiration on how to make my style more mature. As someone on a low salary it would also be great to find tips to improve for less. My Twitter handle is @robert_pask. Cool blog, I'd love to attend the grand designs event to see what it's all about! My twitter name is @izmark come follow along! Kristie!! i love reading your blog posts.